← Can I Replace my HP Compaq Probook 4540S Screen? A broken laptop screen can be a source of great frustration. 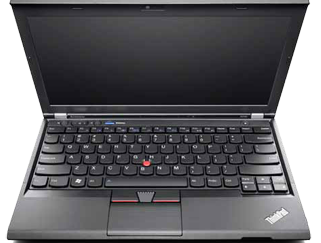 However, armed with the correct knowledge, you should be able to replace your broken Lenovo ThinkPad X230 screen. Below, you'll find detailed instructions that will help guide you through the laptop screen replacement process. Before beginning your repair, unplug our laptop from the mains power and remove the battery. You should also ensure that you have disconnected all peripheral devices, (such as speakers and memory sticks.) Once you are ready to begin, use a flat edged implement or our fingers to prise off the aesthetic overs in the bottom corers of the front bezel. Underneath these coves, you should find 2 screws. Remove these screws, also, and, set them aside safely. Next, use a flat edged implement or your fingers to gently prise the front bezel away from the screen casing. Note: take care when removing the front bezel; excessive force may snap the plastic. Having removed the front bezel, you should see 4 further screws, (1 in each corner,) holding the broken Lenovo ThinkPad X230 screen in place. Remove each of these screws. Next, pull the damaged screen towards you, laying it to rest, face down, on the keyboard in front. You should ow be able to remove the damaged screen from your machine. To fit your newly bought Lenovo ThinkPad X230 screen, all you need to do is complete the above instructions in reverse. *Disclaimer: As with any repair you choose to undertake, Laptop-LCD-Screen.co.uk cannot be held responsible for any damage caused to your device during the replacement/repair process. If you feel anxious or unsure about completing this repair yourself, it is best to err on the side of caution.